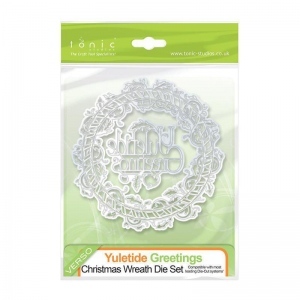 Introducing two new Christmas Wreath Die Sets for your collection! The 'tis The Season Wreath Die Set is a square shaped verso die consisting of three parts, an outer edge and decorative middle and an inner edge and is ideal for card making and scrapbook pages. 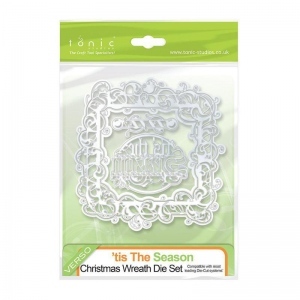 It also includes a 'tis The Season Sentiment and small decorative die the perfect seasonal addition to your card. Look out for card inspiration on Tonic Gold!